A few months ago I made a big purchase on amazon.ca. They had a sale and classic Doctor Who was going ridiculously cheap. I bought a whole bunch of Tom Baker’s and got everything that I was missing to complete my Classic Doctor Who collection. From 1963 to 1989, I have everything I can get (at least until more of the missing episodes turn up) except for three. Three of the last four stories in the series had been discontinued in North America, Ghost Light, Battlefield and Curse of Fenric. Even though this is really a #FirstWorldProblem, the plight of those stories has gone undocumented for the most part. They were discontinued around January 1st, 2013, with zero notice or fanfare. If you weren’t paying attention (like me at the time) you wouldn’t have even known that 30 to 40 stories suddenly dropped off of Warner Brothers Home Entertainment’s active catalogue. The range of discontinued stories starts with some Hartnell’s and Troughton’s and goes all the way to the aforementioned McCoys. I think Tom Baker is the Doctor least affected, probably because he’s freaking Tom Baker and who would dare discontinue any of his stories? Not everybody had their head in the sand like I did. Those who noticed were quick to start making a buck on it. Take a look for Ghost Light. It’ll set you back $200 for the North American version compared to $10 for R2 version. Anyway, when I first became aware that there were Doctor Who stories I needed among those no longer available, I went straight to amazon hoping to find them and for a reasonable price. In January I ordered Curse of Fenric and Battlefield from the website. Even though I was told that they were out of stock, I was still allowed to order them and my order has stayed active for the past 5 months. Toward the end of every month I get an email which states amazon is still trying to source my order. Today I got an email with an estimated delivery date of July 7th for Curse Of Fenric. That’s right, just over a month from now my wait might be over and my Still Need list could be down to two! So if you were in the same boat as me, if there’s a discontinued Classic Doctor Who dvd you still need to purchase, wander over to amazon. Maybe, just maybe, you might get lucky like I have. Or like I hope to be. Until that dvd is actually in my hands I will remain skeptical. Have you had a chance to check out the amazing fan made trailer for Series 8? It’s so well done that it fooled some into thinking it was official! The dedication of Who fans never ceases to amaze! Until we get a better trailer from the BBC, you know, one that actually features more than a silhouette, this will suffice! Doctor Who Almost Cancelled When Tennant Left? It may not have been a big week last week, but stay tuned over the coming weeks as we have a couple more interviews lined up! Yes, the biggest news coming last week was the release of the new teaser trailer! Staying on the topic of Series 8, there were some new photos that leaked to facebook last week! It was 18 years ago that Jon Pertwee passed away and Andrew Boland takes a look at the third doctor, remembering why he was so awesome! So there you go. Not a whole lot happened last week, but now we have something to look forward to… August! What a pleasant surprise it was to get home today and see that there was a teaser trailer for Series 8 on YouTube! Have you seen it yet? No, yes? Either way, here it is for you ! Alright, let’s microanalyze the who trailer… Um, Capaldi was in it, maybe and there were sparks from the console… Okay, so there wasn’t too much there to really get you excited, except maybe the date. The new Doctor lands this August. Start counting down the days! A couple of days ago now it was the anniversary of Jon Pertwee’s death. 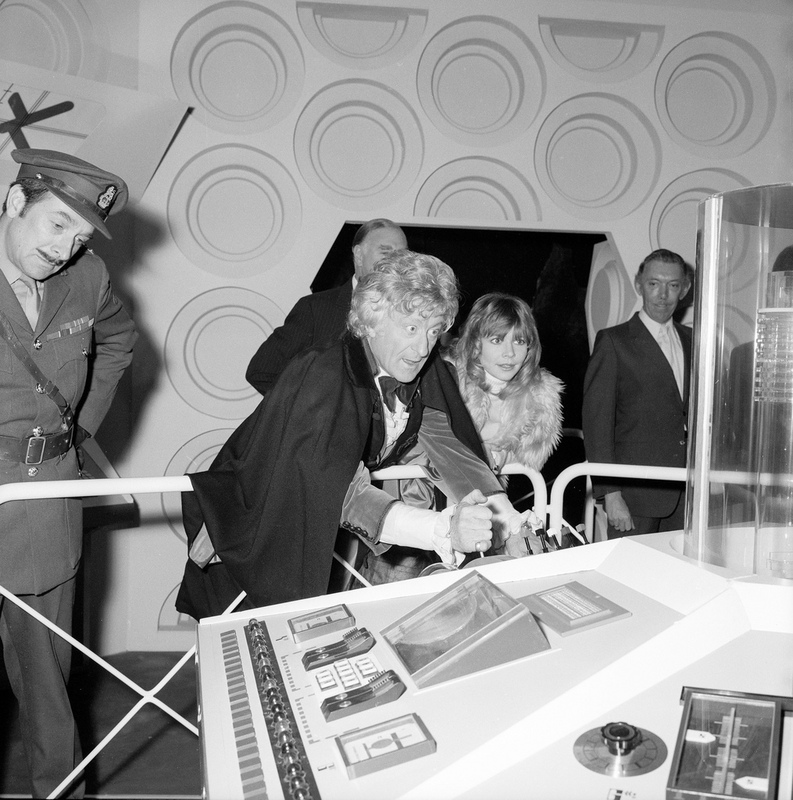 18 years since the third Doctor passed on from this universe to the next. 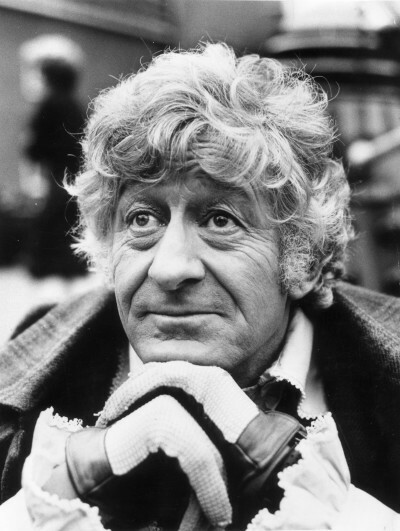 And recently I listened to a podcast, and then read a thread on a forum, where it seemed open season on Pertwee and his era. So I wanted to take a chance to tell the world that there are plenty of Pertwee fans out there who to this day love the five years he gave us, and umpteen appearances he made after he left the role. I mean heck, the guy actually appeared in a fan-made film trying to explain the transition from Second to Third Doctors! The ‘showman’ never failed to come back when asked, and he never stopped giving back to the fans. And for fans that take their fandom as seriously as us Doctor Who fans, that deserves great kudos. Criticisms rage about his era that Pertwee was too ‘establishment’, his stories were too formulaic to ‘Bob Baker and Dave Martin were crap’. Hmmm. What can I say? I have a few friends for whom Pertwee is the ultimate Doctor, for me it is Troughton. But one of the reasons I love Troughton so much is the way he worked with Pertwee in The Three and Five Doctors. When I started to watch Doctor Who regularly, it was the 80s and Pertwee had an almost full series of repeats shown at 6.30pm. He and his era sucked me properly into the show, after I’d seen one Colin Baker episode and read a few of the Target books. Spearhead drew me in, Ambassadors pulled me along and Inferno was a great big hook and I have never looked back. I even like most Bob Baker and Dave Martin stories, and I think ‘The Mutants’ is the most underrated Doctor Who story there is, bar ‘The Gunfighters’. This writing team was responsible for some of the most different and creative stories from the Pertwee and Tom Baker eras. ‘The Mutants’ may feature a couple of bad performances, but at the same time directly attacks British colonialism. And the Third Doctor is NOT on the side of the Overlords – he still sticks up for the underdog, the downtrodden, those treated unfairly. The Claws of Axos is an amazing amalgamation of ideas and visuals, and I will always LOVE ‘The Three Doctors’ despite its shortcomings. Pertwee IS establishment quite often, but always expresses rage and dismay at bureaucracy and pen pushers. Some have said that his Doctor wasn’t ‘nice’, but I never got that. 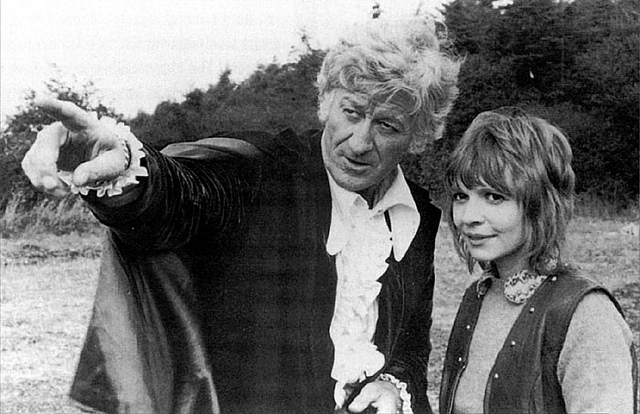 The way he worked with Katy Manning showed a very soft and caring side to the Doctor. He was a man who was flamboyant, yet completely and utterly dependable. 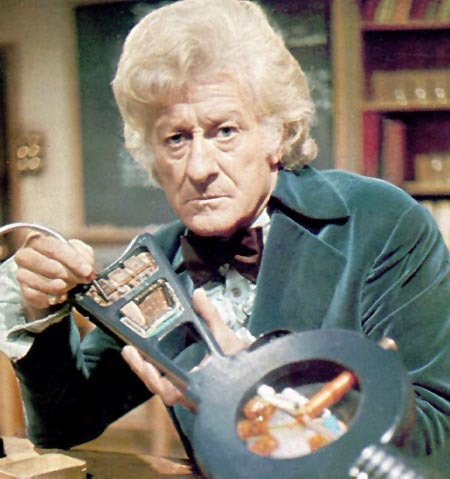 As a young kid, whatever the Doctor and Co were facing, you knew the Third Doctor would win out. And as for the rapport with Delgado, the way the two worked together – we have never and will never see better Doctor/Adversary matchup. That is clear. Say what you like, Pertwee is not my favourite of all, but will always be one of my favourite Doctors. He has magic, a soft side, he was dynamic, funny at times, deadly serious at others. And in the early years right through to today, no Doctor has delivered speeches quite so well. See – ‘The Mind of Evil’, ‘The Time Monster’ and ‘Planet of the Spiders’. So, grab some cheese and a bottle of the finest wine you can find in Style’s cellar and drink a toast to Jon Pertwee. I salute you sir!